What are the CiviCRM statistics? 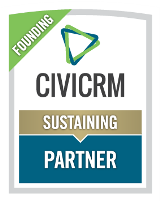 As the CiviCRM community grows and is increasingly active, the need emerged to measure our work, our impact, our communications and many other aspects of this community in order to judge our progress and influence our roadmap. The CiviCRM statistics project was born. All of these statistics are produced with the utmost respect for the privacy of our users and contributors: no identifying data of any sort is ever collected (not even IP addresses), these statistics are always presented as aggregates, values below certain thresholds are discarded, etc. What are these statistics used for? Well ... click on the tabs and you will see some nice graphics! which extensions should be considered stable and/or more actively promoted. How do we produce these statistics? These data sources are regularly queried for new data, this data is aggregated in a central database and statistics are produced from this database on a daily basis. What is an 'Active site'? and where the database contains at least 10 more contacts that what is pre-loaded with the demo datasets. While not taking into account all possible use cases, this is certainly a very reasonable definition and the best we can do with the limited amount of information that is available to us. As a matter of comparison, most other statistics on software usage refer to the number of downloads, the number of times the software was installed (without substracting the uninstalls), or the number of users accounts ever created (regardless of their activity). The financials tab is based on the CiviCRM Core Team's accounting and is updated monthly. It reflects the income and expenses of CiviCRM LLC. The financials presented do not reflect those of any partner, member, end user or any other type of community member of CiviCRM. The project financials were added on March of 2019 and will continue to evolve in order to demonstrate the financial and project-wide performance of CiviCRM. the data files used to produce these graphics - reuse, remix! Finally, please feel free to contact Nicolas at Cividesk with any questions, concerns or encouragements related to these statistics. an in-kind contribution by Cividesk, a CiviCRM partner and contributor. 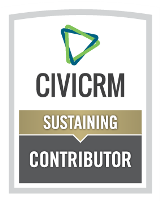 Support for the project are reflected in CiviCRM badges. Looking for an expert? Look for the badge.